Henry & Elsie Hillman - Pittsburghs Beautiful People! With an estimated worth of about $2,8 billion dollars, Hillman is Pittsburgh’s richest man. Before settling down to marriage with four children, Hillman attended Princeton University where he acquired a Bachelor of Arts/Science. The son of Pittsburgh steel mogul John Hartwell Hillman Jr., industrialist who built Pittsburgh Coke & Chemical, Hillman took control of the family company in 1959 and lucratively changed it’s focus of investments from smokestack industries to light industry, real estate and venture capital. 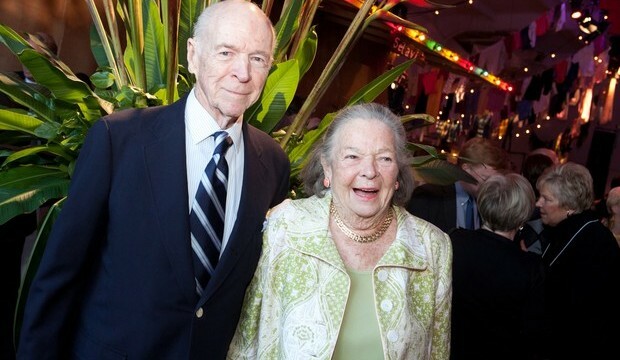 The Hillmans have a renowned commitment to philanthropy, and dedicate their personal charitable involvement in Pittsburgh and the surrounding areas. The Hillmans have used the extensive personal wealth to establish many charitable organizations, including the Hillman Family Foundation, and its 18 charitable associations, all offering grants and programs in the public interest. As well as supporting local organizations and community groups, they have made large donations cultural and artistic foundations, for example the massive Hillman Library at the University of Pittsburgh sits on land donated by the Hillmans in the 1950s. In 2011, the Hillman’s donated $3 million to Rider University’s Westminster Choir, with the funds being used to build a new performance hall. Medical donations include funding The Hillman Cancer Center at Shadyside Hospital, which opened in 2002, and the Hillman Pediatric Transplantation Institute at Children’s Hospital of Pittsburgh of UPMC, which pioneered America’s first pediatric transplantation program. In 2008, the Henry L Hillman Foundation donated $10 million to Carnegie Mellon University to fund the building of a new research building in the university’s school of Computer Science. Certainly, the title of “Pennsylvania’s Most Politically Powerful Women” (as given in 2002 and 2003 by PoliticsPA) is apt, and obvious by the just a few examples of political elections she has been involved in: including John Heinz’s election to the House of Representatives and United States Senate, Richard Thornburgh and Tom Ridge as Pennsylvania Governors, and George H.W. Bush as President of the United States.